The Adventures of Maui Don - Dolphin Dude: Outsourced? 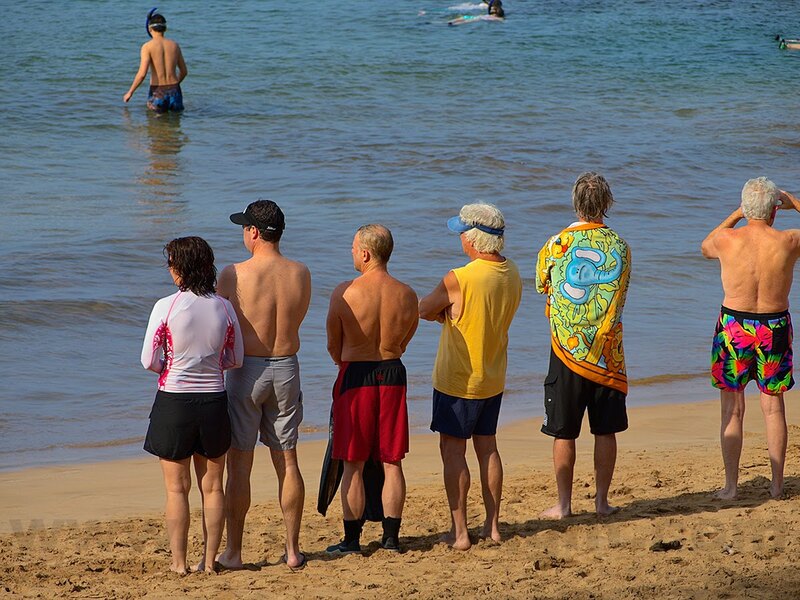 What are they looking at? Don't worry, I couldn't figure it out either, and I was there. 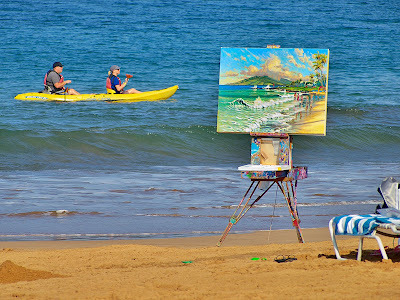 I have been seeing more plein air painters around, although this guy is a regular at the Wailea beaches. 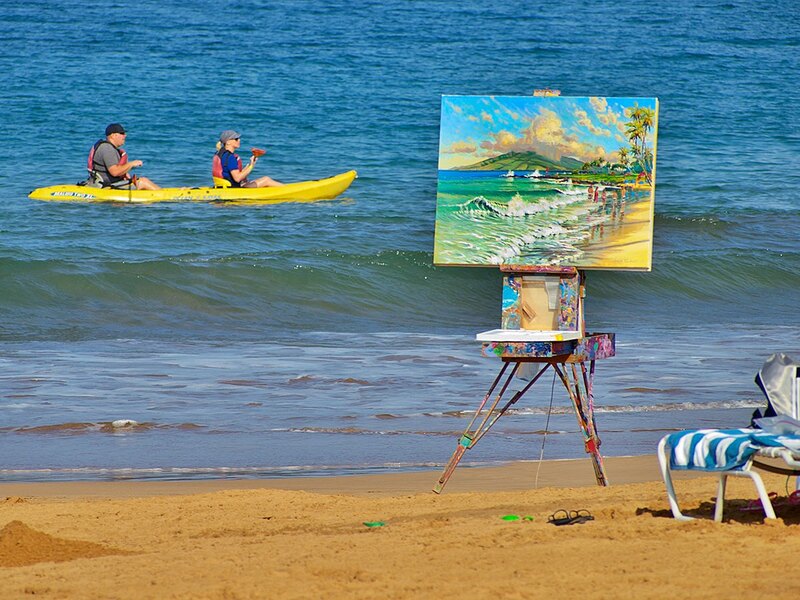 The other painters spend their time painting, he spends his selling. Hmmm, I wonder if he outsources the actual work of painting to someone in India or China?